Many people decide to install doors with industrial automation in Vadodara both in the garage of your home and in your company. And there are many automatic doors that you can install in your garage. So, if you are interested in the installation of doors with industrial automation in Vadodara, you may be interested in this article. Below we will explain the different types of automatic doors that exist. – Folding doors: this system is usually the most used; it works through two leaves that are pivoted through a vertical axis. – Sliding doors: it is the best option when you have a wide space and when its use is intensive due to its great stability, thanks to its automated closing system. Of course, if you install it, you must take into account that it does not collide or prevent its opening that is, that there is the right space for it to work perfectly. – The swinging doors: the most frequent model of this type is that which is composed of a leaf. This leaf, when it rises, stays on top. If it has two leaves, they remain folded in the same area. In a different way than the previous type, this kind of doors does not need a large space. 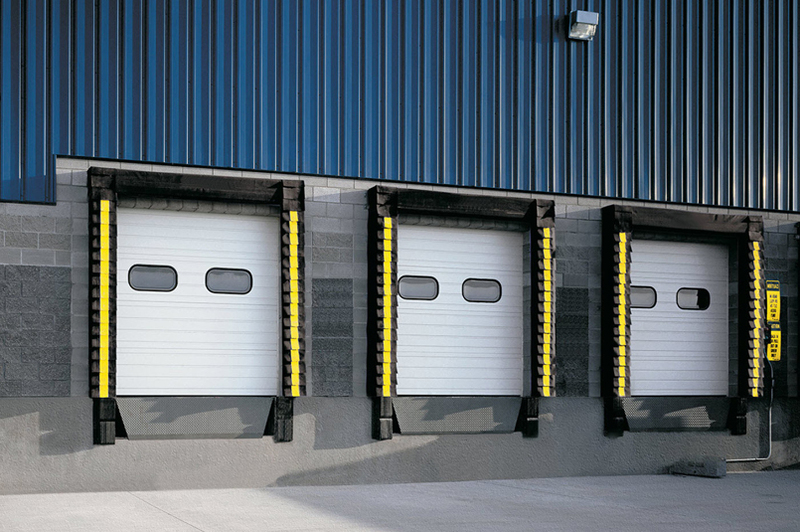 – Rolling doors: its mechanism causes the door to be collected in its upper part, where its panels are rolled up and its door is fastened through a horizontal crossbar. Thanks to these doors, your space will be optimized. 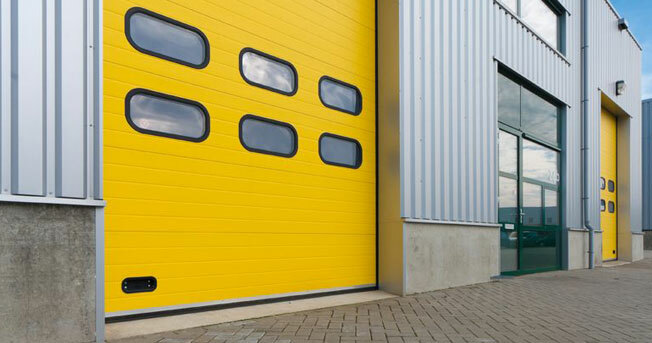 – Sectional doors: they are composed of panels that meet with each other and adapt to any dimension of space. In order to be sure of the door you are going to install, you must have the services of a good garage door installation company. The industrial automation in India has come to make life easier, always from the side of comfort and comfort. And the truth is that until the modern automatic garage doors, operated with a simple click, technology has had to evolve a lot. The industrial automations in India today are the heritage of a long tradition that began more than you imagine: it was during the first century of our era when Heron of Alexandria, famous Greek-Egyptian engineer, had the wit to devise the first known automatic gate: a structure activated by the effect of water vapor on a set of pulleys. These first automatisms were very basic and were far from resembling the current ones, mainly because electrical systems had not yet been discovered, and this is the reason that explains the great leap that we will give next. It is not until the nineteenth century that the progress of technology allows us to observe automatic doors that today we could recognize as such, and in the early years of the twentieth century, an American corporation launches the manufacture of automatic garage doors. From that moment begin to appear news that is worth mentioning: automatic sliding doors, folding, tilting or sectionable, among others. Later, beginning in the 1990s, we began to find steel frames and doors lined with aluminum, and the production of automatic doors is standardized. Today, we have automatic doors of the highest quality at our disposal, and at Vishwas Automation we are specialists in the assembly and repair of industrial automation. If you need to change your cold rooms or install automatic doors to close your garage, by our side you will find a serious and quality work, in record time and at very competitive prices. It will be enough to install the appropriate model, equipped with built-in control unit and chain or belt transmission guides, and we will obtain a customized solution for each type of door. An automated garage is much more comfortable and safe: from the garage to the street and vice versa, without getting out of the vehicle; an unexpected rain, a vandalism … The automatism will allow us to put our vehicle in safe conditions quickly. These engines are always equipped with courtesy light to illuminate and make access to the garage safer. In addition, this light is automatically turned off so we will not have to wait to turn it off every time we take the car out. Normally they receive the power from the network with a voltage of 230 V and with direct current, which thanks to the low voltage guarantees us a greater safety of operation. In the market, we have a wide range of mechanisms, so we can choose the one that best suits the measurements and weight of our door. – Hinged doors: Hinged doors are those that can move outwards or inwards. There is different kit that we can integrate in any hinged or folding door. They are designed for those private houses that need a two-leaf door of up to 3 meters each. – Sliding Doors: Doors that slide to the right or to the left, ideal for large gardens or urbanizations. They are simple to use, very comfortable and safe. – Tilt doors: These doors can be raised in one or two pieces by means of a pair of special hinges or bearing gages with tension springs or counterweights to balance the weight. 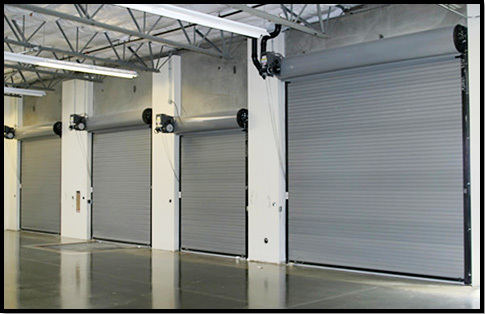 – Rolling Doors: Rolling doors or grilles are very robust. They roll quickly and safely behind the lintel. The automation systems are chosen according to the type and dimensions of the garage door. If we are thinking of installing automation, we will have to pay attention because it usually happens that by lowering costs, some people install an automation that is not appropriate for the model of garage door they have. If we want to save ourselves problems in the future, it is best to let us be advised by a professional, since not all automatisms are used for all doors. When placing an incorrect automatism, we will have problems such as a bad closing of the door, or that it hits when opening or closing. They are typical faults that we can avoid and thus enjoy quietly for several years of a garage door without breakdowns. Placing an automatism in a door has multiple advantages; they are discreet, silent and versatile. Thanks to its control mechanisms they allow to automate the opening and closing of both interior and exterior doors. They serve not only for domestic use, but also for commercial uses. Another great advantage is its adaptability and its easy assembly. Most of the automatisms of the market allow us to find the most appropriate solution for the requirements and dimensions of each home. Safety, comfort, versatility and adaptability are the requirements that automation for enclosures and doors must meet. If we install an automatism in our garage, it will be more comfortable, faster and safer. These systems allow us to enter the house without having to get out of the car, thanks to the remote control. Most models also incorporate a sensor that makes the system stop if it detects an obstacle and exerts a back pressure if there is an intrusion attempt. If your garage, garage or urbanization still does not have one of these systems, install one and enjoy its advantages, also lengthen the life of your door, as they have a smooth drive that will make the door does not suffer any blows. Vishwas Automation, specialist in installation and maintenance of industrial and residential doors, barriers, fire doors, all types of blinds and door automation, has collected the main issues raised by their customers during their years of experience. Here are the main questions and answers that will make it easier to select the door for both your business and your community. IF I AUTOMATE MY DOOR, CAN I OPEN IT IN CASE OF LACK OF POWER SUPPLY OR BREAKDOWN? Yes, all automatic doors must be able to be opened in a manual mode regardless of the door model, either because they have access from the inside or by the installation of a lock to be able to do it from the outside. HOW DO I KNOW IF I CAN AUTOMATE MY DOOR? In principle practically all manual doors can be automated, but since exceptions can occur, the best thing would be to contact us for a commercial to see it without any commitment, or send us a picture of the door. DOES MY DOOR COMPLY WITH THE SECURITY MEASURES REQUIRED BY LAW? Since the regulations are changing and have different security measures both mechanical and electrical depending on the type of door and the use that is given (particular, community, industrial, etc.) should contact us to know what door model is and determine the basic security measures in each case. WHICH DOOR IS THE ONE THAT BEST SUITS MY NEEDS? It depends on each client, the use that is going to be given to the door (indoor or outdoor door, number of maneuvers, etc. ), the hole that is available (not all doors are used for all gaps) and more factors, so again we advise you to get in touch and have a salesperson see you in person. IF I CHANGE MY DOOR, DOES MY GARAGE OR SHOP REMAIN OPEN UNTIL THE NEW DOOR IS INSTALLED? In the case of door changes, the closed space is always left. It is tried to finish all the work in the day, but of not being possible, the hole is closed and they leave for another day works of motor, electronics, etc. HOW LONG DOES IT TAKE TO ASSEMBLE A DOOR, AND AN AUTOMATION? Usually the doors are mounted in one day and the engines in no more than one morning . The industry of design and manufacture of doors is renewed every day and today offers us practical solutions to automate the opening and closing of our garage thanks to a sectional door. Locks that got stuck, rails that did not run and prevented opening the sliding doors, metal or iron swinging gates that weighed a ton … It cannot be denied that until a few years ago the garage doors presented several inconveniences that hindered its operation and use daily. Today these problems are solved in a simple way, with the automation of a sectional door. They are a type of automatic door that is installed in garages and that present many advantages mainly derived from its very simple installation and its even simpler use. Its fundamental characteristic is its comfort: the automation of the sectional door causes that they open by themselves activating a control in only 20 seconds, without need that we have to get off the car and pull it. In addition, at the security level, traditional doors presented a drawback: if you lost a key you were obliged to change the lock and all the keys of the people who used the door. With the sectional doors, it is enough to change the security code and reprogram the controls that activate the system, something that will not take too much time. Being sectional doors that are built with different modules, they adapt perfectly to any space by just adding more or less modules and the composition of the steel panels guarantee that our garage will be well insulated from the outside and that the door will last much longer, besides that it will be much more difficult to open it and access the interior of the garage. It is true that they require a little more careful maintenance than traditional doors, where it is enough to oil and clean every so often, but the advantages greatly compensate for this small handicap. In addition, the supplier of your door will be responsible for maintenance tasks that go beyond cleaning and frequent greasing. 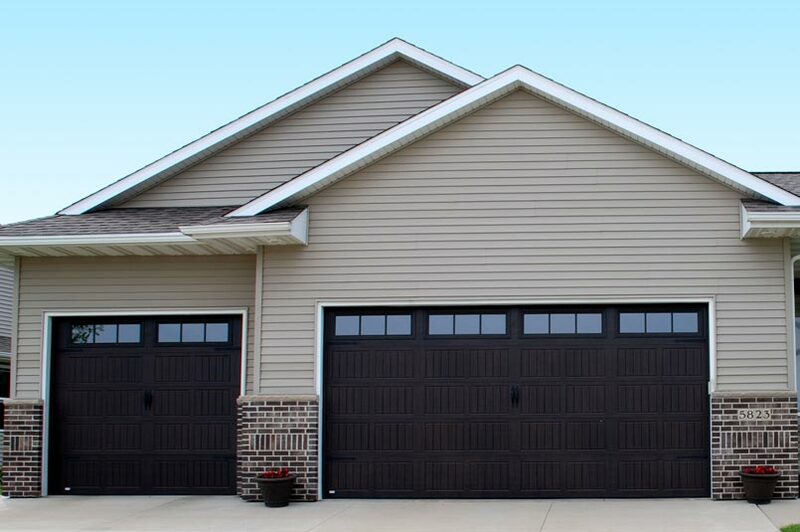 Whether you live in a detached house or in a community of neighbors, good maintenance of the garage door should be a priority, both to avoid breakdowns and to avoid accidents. The boiler, electrical installation, heating, plumbing and even windows and shutters. There are many aspects of our homes and offices that we subject to periodic reviews with two main objectives: to avoid breakdowns and ensure that they work optimally. The same does not happen, however, with the garage door, which on occasions is the great one forgotten in the renovation and maintenance tasks. A good set-up and proper care will depend on the useful life of our garage door and the problems we may have with it. Whether in offices, neighborhood communities or single-family homes, the garage door accumulates hours of activity each year. This affects the good condition of the door and can cause several problems. On the one hand there are the purely technical: a poorly maintained door can work wrongly , squeak if it is not well oiled, hooked if the gears and mechanisms of rise and displacement have not been checked or even not operated if the remote control system it is broken. It is estimated that good maintenance prevents up to 80% of these problems. But in addition there is another important aspect that we will avoid with a good maintenance: the accidents, with doors that fall or close before time. 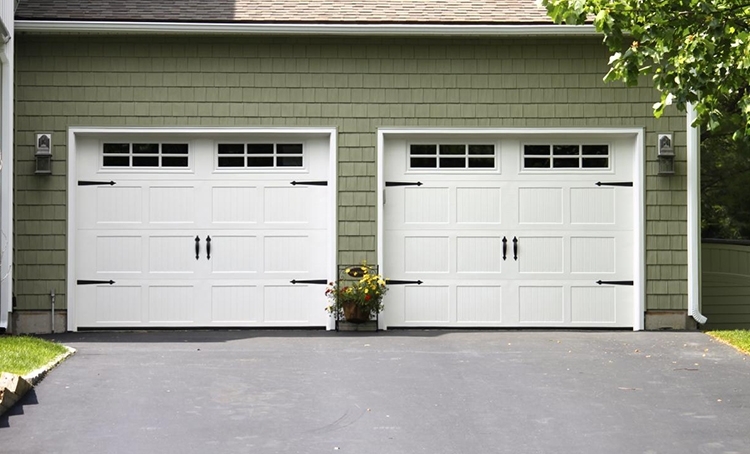 The installer of the door of your garage will surely have periodic maintenance services. The frequency of the visits will depend on the frequency of use and the model that you put. Your provider will confirm the necessary revisions but, in general, it is estimated that in the garages of neighborhood communities of seasonal use or those that house less than 5 vehicles, an annual review is sufficient. The figure is reduced to a review every six months in garages with 5 to 50 vehicles and every four months if it has more than half a hundred. 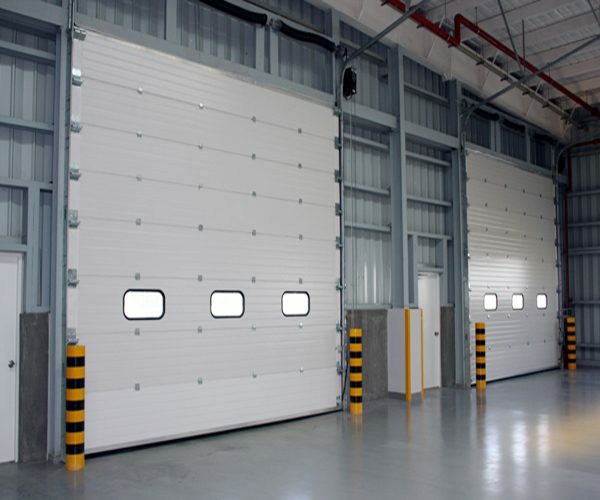 While, in the case of industrial buildings should be reviewed every 4-6 months, same terms for the garage doors of commercial areas. In the case of roll-up doors, annual maintenance is also sufficient. And although these are the most widespread estimates, it goes without saying that you should consult a qualified professional whenever you notice any problem at your door. Avoid dirt. In addition to leaves and trash in the vicinity of your garage door, it can accumulate traces of grease and dust that will not only contaminate it from the outside but could put at risk the mechanisms that move the door. Check with us the convenience of cleaning it with water under pressure periodically. Beware of humidity. Garage doors face excessive heat and extreme cold, but the weather agent that most affects them is water, which can damage control panels if they are not well insulated by moisture. To avoid this, check frequently all electrical circuits, checking for cracks or fissures. If there are, you can ask us for advice if you can seal them with silicone or how to act. The door of a community garage faces an intensive use every day of the year. It would be difficult to estimate how many times the garage door of our community can be opened and closed, but if we counted it, it would surely surprise us. That’s why your choice should be a thoughtful, valued and weighed decision taking into account something more than its price, which is usually the main aspect taken into account. Sectional door. They get the most out of the available space and offer a perfect closure, which is a plus for safety. Its panels are formed by galvanized sheet slates and lacquered with polyurethane, a very robust alloy that allows insulating our garage very well from the acoustic and thermal point of view. Door relevant. They are the most used for a large owner and garage communities and can be folded, with two pieces that overlap each other, or lifting, ascending one in its entirety. They are very robust and safe doors that offer good value for money. Sliding doors. They are very versatile and adapt in a personalized way to the available spaces because they are formed by several sheets that can be added or removed without problem. It is perfect for large neighborhood communities because they have a relatively simple maintenance and high performance. It is one of the aspects that should concern you most since the garage door must keep the space safe from thieves. Make sure it is made of a sturdy material, that seals your garage efficiently and that it can only be opened with your remote control or key. It is an especially important aspect if you opt for a manual door. Keep in mind that these doors can be heavy and difficult to move if they are not well greased. Although the automatic ones have a higher weight, value it because in the long run, it can compensate. Not all doors require the same maintenance. Some just need to be greased on a regular basis and undergo an annual review, others require more attention. Check with your installer which is the case you are going to choose and make sure you are able to give the correct maintenance. Otherwise, it might be better to choose another model. In this sense, contracting maintenance with the installation company can save you many problems. The improper use of the devices, poor maintenance, and deterioration due to the passage of time are the most frequent causes of breakdowns in the automatic doors of our garages. Although the opening and closing systems are increasingly more sophisticated and use more efficient materials, which allows reducing the maximum damage, you may one day find that the automatic garage door does not work properly. We analyze the most frequent problems and we tell you how to act in case of breakdown. Automatic doors that do not open. It is a very typical error motivated mainly by two causes: a failure in the control with which we activate it or an error in the receiving device of the signal. Both cases must be reviewed by an expert once it has been verified that the control battery if it is carrying it, is charged. Doors that do not open or close. These cases are somewhat more complex because the failure of the operation can arise from a problem with the control or receiving device as in the previous case or by a fault in the mechanism that moves the door. It is essential that you do not try to force the door and operate it manually, as it could aggravate the problem to be solved. Doors that make strange noises. The deficiencies in the maintenance of automatic door and improper lubrication mechanisms can make moving parts squeak. In addition, if some gear has been displaced from the places where they must be placed, small knocks or rattles may sound. In principle, there is no problem in that you grease the moving parts as you have indicated your installer to check if the noise ceases. If not, do not touch anything without its supervision, even if you have clearly detected where the noise is coming from. Mechanical doors have complex mechanisms that cannot be seen with the naked eye and touch erroneously any external part can affect the interior. Although each problem requires a different action, all of them involve contacting the installer of our door. If we have contracted a maintenance service it is very likely that this includes a repair service 24 hours, since the garage doors are a device with an intensive daily use and whose repair cannot wait. Try to have at hand the model of the door that you installed and that will appear on the invoice by hand. Describe as accurately as you can which is the problem to be treated and if you have noticed any strange use in the previous days and trust your criteria for the repair. Problems with the Door of Your Garage? WHAT ARE THE MOST COMMON FAULTS IN AUTOMATIC GARAGE DOORS? DO I NEED A MAINTENANCE OR REPAIR OF MY DOOR? As you will know if you have navigated our website, there are many different types of doors for residential use: here is an overview of all types of automatic garage doors. 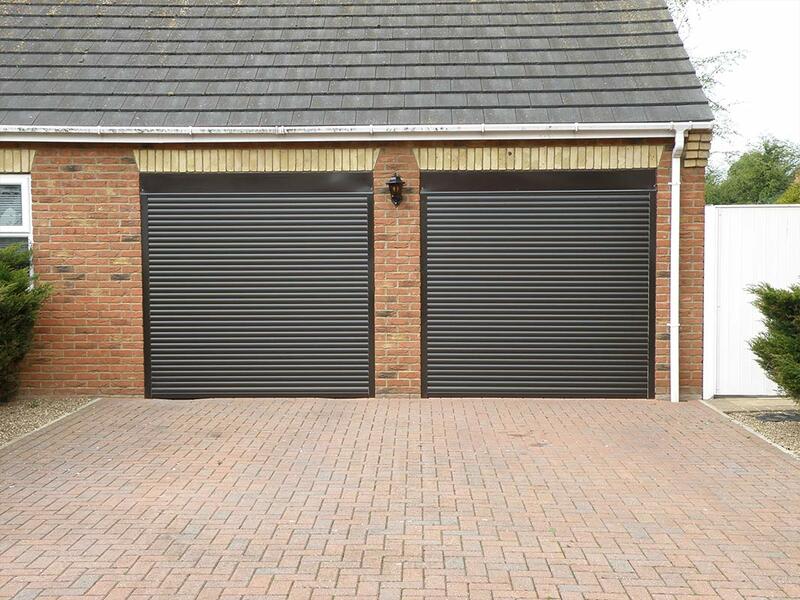 The faults that usually suffer automatic garage doors usually depend on a malfunction of one or more of these elements: the springs, the wheels, the cables that go to the dock, the door panels, the hinges (in the case of tilting doors ), the roof motor or the external motor (in case of sliding doors ). Some faults also depend on the motor plate or the DE configuration of the electrical system. Others are due to the loss of oil in the motors of the swing doors, which implies the substitution of the entire motor. As we explained in a post, it is estimated that good maintenance prevents up to 80% of breakdowns of automatic doors. But in addition, there is another important aspect that must be considered: accidents. The security of a garage door is fundamental and we never get tired of insisting on this point: for that reason, we offer maintenance contracts for the prevention of accidents. Check the status of counterweight cables, pulleys, bearings, etc. Review of the infrared photocell, light signals, pneumatic bands, etc. Review of activation systems, radio receivers, key drives, etc. Report of the deficiencies observed and actions to be carried out. Did you know that each automatic door must have preventive safety maintenance by law? At Vishwas Automation, our qualified technicians have solved all the failures of our customers. In most cases, it has been necessary to repair the garage doors, automatic and pedestrian doors of the neighborhood, residential and private communities due to misuse (for example, when a car knocks on the door) or to the passage of the time. All the mechanical installations need periodic revision and maintenance, to increase their useful life: when this maintenance is not carried out, it is more likely to have mechanical failures in an automatic garage door. Sometimes the repair of the garage door is very simple and does not cost much. Other times, the fault is greater; only a few times do you have to change the door. You can ask us without obligation for more information about our maintenance and repair services. It does not matter what type of motor has your garage door installed, or the manufacturer: get in touch with us and we will advise you on the best solution for your needs. Author adminPosted on February 14, 2018 February 14, 2018 Tags About Garage Doors, Garage Door, Garage Door Problems, Garage Door SolutionsLeave a comment on Problems with the Door of Your Garage?